The dog days of summer are often a time for relaxation by the pool or a family trip to your favorite vacation spot. At the same time, many Americans take advantage of the warmer months to put their house on the market. According to the National Association of Realtors®, one third of homes are sold during the summer months. “Spring is known by many to be the hottest season to sell a home as the winter doldrums are ending and people are getting their homes and yards in selling shape. Yet in summer, the frenzy of the spring buying season has often concluded, which means fewer houses are competing for buyers,” said Tim Alger, CCBR President. Here are a few tips from The Cortland County Board of Realtors® to help you get your house sold before the leaves start to turn. Keep your house cool. Keep potential buyers comfortable as they tour your house by keeping the air conditioning at a reasonable temperature. This will help them imagine escaping the summer heat in their new home. Landscape! Your front yard is the first thing potential buyers will notice when they pull into the driveway. So make sure your yard and flowerbeds are well landscaped and maintained. Your home’s curb appeal is the first chance to impress potential buyers, so be sure to remove any debris from the lawn, clean your deck or porch, and repaint any areas that are in need of repair. Mark your calendar. Plan around your summer vacations and list your home accordingly. Timing is everything when it comes to selling a home, so make sure that when offers start coming in that you are not out of town. Work with a Realtor®. Finally, CCBR reminds sellers that it’s important to work with a Realtor®, a member of the National Association of Realtor®, who is familiar with your community. These professionals know the pricing strategies and buyer preferences that will help bring better results. Keeping these tips in mind will help you increase your chances of quickly finding the right buyer for your home this summer. 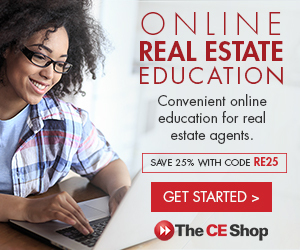 Visit our website, www.cortlandmls.com to connect with a RealtorÒ to learn more about selling a home.